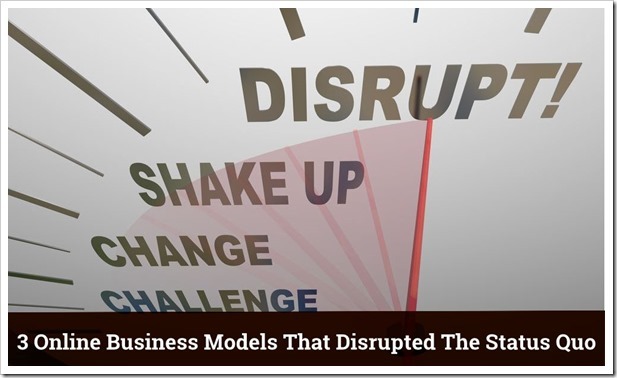 In the course of history, often comes along a business model which completely disrupts the status quo, and unleashes a new wave of innovation, surprises and awe never experienced before. Think about Google: Who is in his right state of mind would have thought that a blank home page with nothing but a search bar in 1998 will become a $400 billion company 15 years later? Or an ecommerce site (read:Amazon.com) selling books will become world’s largest digital marketplace with 200 million users and $74 billion of annual revenues in 2013? If we observe one common binding thread among these internet companies, we will find that they disrupted the status quo, and introduced something which was never expected. Certainly there were search engines before and existing ecommerce portals, but they chose a unique business model and trusted it. Business experts will confirm the fact that any company which crossed million dollar sales ever, did that on the basis of repeat customers. That is the holy grail of online and offline business: your repeat customers bring in maximum profits. And the interesting thing is that you cannot force a customer to become your repeat customer. With exceptional customer care service, your customers automatically become your loyal customers. But out of 23 million+ small businesses in USA, very few thought on this angle. And those who did, created history. Customer service of Zappos is legendary; they sell shoes and clothes online (with a tagline: Shipping always free!) but in case any customer or non-customer calls their customer service rep and asks for the nearest pizza shop, they actually open Google Maps and let them know the nearest pizza shop. There are several interesting customer care stories about Zappos, and think hard for a moment: it is these minor surprises which has helped them become a legend. Same goes with Amazon as well. One of my friends who worked with their customer service department shared with me that there is a very loud and clear rule inside Amazon: the customer is always right. It is these small, heart-warming actions which can convert a one-time passive customer into a life long loyalist. As per Zappos CEO Tony Hsieh, “I wanted us to have a whole company built around customer service.” And the results are in front of you: 75% of overall revenues ($2 billion+ in 2013) in Zappos come from repeated customers. Such is the intensity of this disruptive business model! Human being is a social animal; he needs a community to give him support and guidance. Trusting the logic that a human being will help another human being in times of distress led several entrepreneurs to introduce a unique philanthropy based business model, which is actually quite rocking. The niche is based on the assumption that shoppers are more likely to buy from these companies/brands knowing that their shopping dollars would create a positive impact elsewhere. Toms.com started off as an ecommerce portal to help those kids who can’t buy shoes. On their website they stated that for every shoe bought from their online store, they will give one shoe to one economically backward child: One for One. Since 2006, Toms have given away 10 million such shoes to these children, all over the world! Now they have ventured into gift of sight and gift of water as well. Similarly, Dancing Bear, which produces bakery products give away 35% of all their sale’s worth of foods to homeless families. A perfect example of community based social service, and creating a business out of it. This business model was completely rejected when it first came out: skeptics claimed that crowd sourced projects will be full of chaos and confusion with no one knowing who the real owner of the whole business is. The whole idea that a crowd of like-minded people will help a project to get completed and would provide the founders with ideas, money & resources was completely unheard of. But the massive success of crowd sourced platforms and portals proved them wrong. Crowd sourced platform mainly works for the online medium, wherein people with an idea pitch their projects in front of the community. Both KickStarter and IndieGoGo are considered as the best examples of such crowdsourced platform success. On Kickstarter, more than 5.7 million people have funded 135,000+ projects with $1 billion+ funds collectively pooled in. Projects ranging from movies, healthcare, technology, journalism, video games etc have been successfully launched and finished using the power of the crowd. IndieGoGo, for example, has helped fans of Tesla build a museum with a budget of $1.3 million, a Solar powered Roadways at a budget of $2.2 million and more! Not only the problem of funding gets resolved, such platforms actually provide intermingling of ideas and opinions. Everyone who contributes become a share-holder of the project, with different levels of priorities provided on different scale. And these three business models which disrupted the way we approached commerce is just the tip of the ice-berg. When ideas, intensions and magic of ‘action’ combines, then fireworks are bound to happen! Do let us know of any disruptive business model which, according to you, has changed the course of business, by commenting right here!